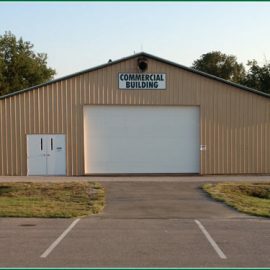 This is a 12600 square foot post frame building with a concrete floor. This building would be great for animal show, auction, trade show, or a large gathering. This building is not a climate controlled building. This building is also used for winter storage November 1st to April 1st.